Part Auxiliary Fuel Tank, Part Tool Box. 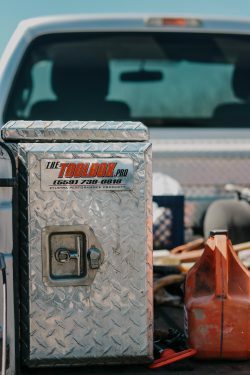 The Fuelbox provides the auxiliary fuel tank market with many options of fuel tank toolbox combos and the Auto Fuel Controller system. 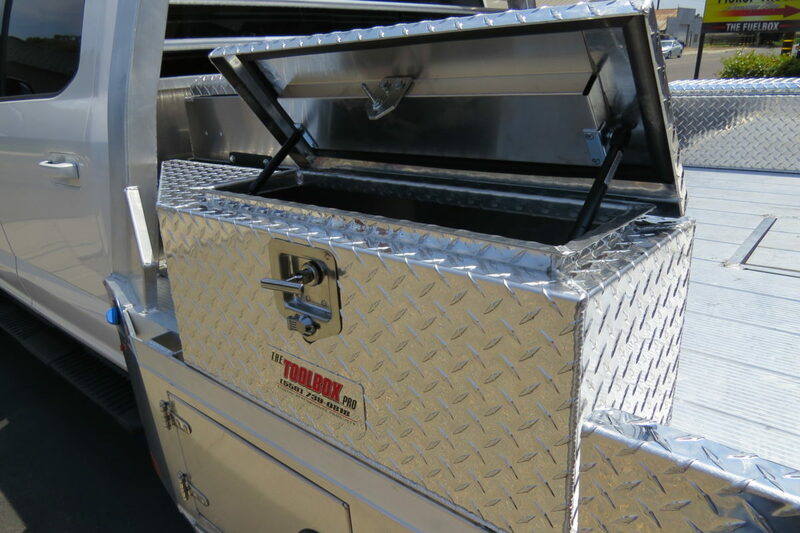 The Fuelbox offers high quality aluminum products including toolbox fuel tank combos, in-bed fuel tanks, tool boxes, dog boxes and other truck accessories. 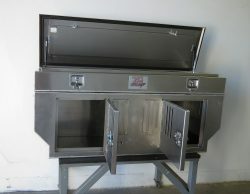 A family owned & operated business, proudly manufactured in America. 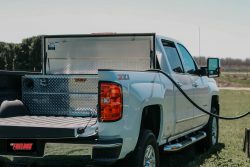 As an auxiliary fuel tank for your diesel pickup that with our Auto Fuel Controller it will transfer fuel to your pickups factory tank as you drive. 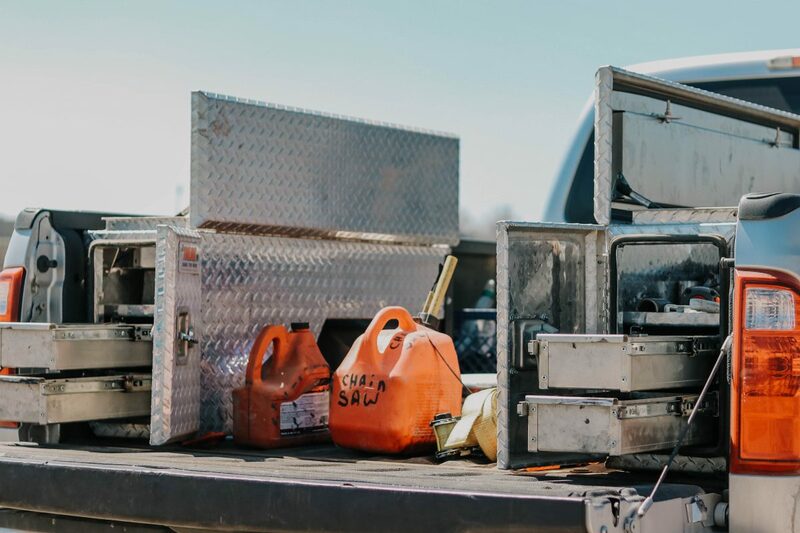 It will also transfer fuel to other vehicles and equipment with one of our optional transfer pump systems that mount inside the tool box so it is secure and out of sight. 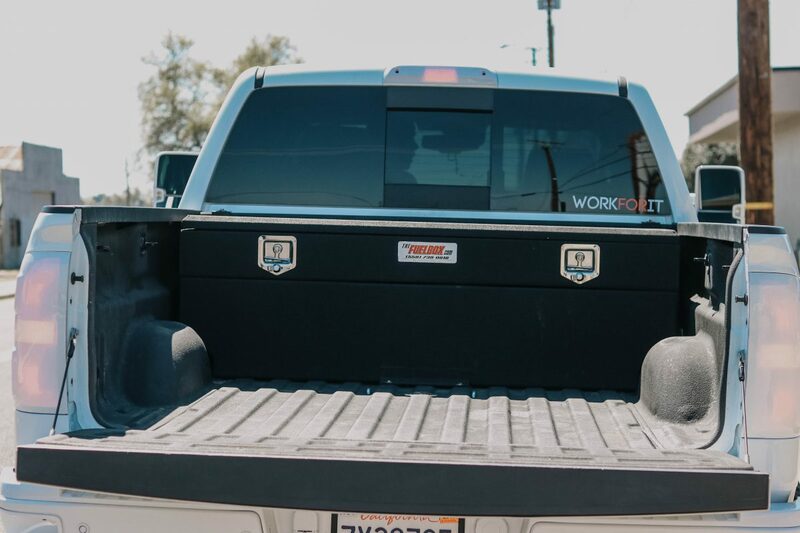 The Auto Fuel Controller makes our Fuelbox tanks legal in all 50 states for diesel pickups. 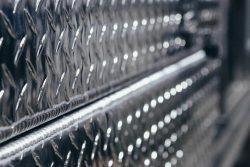 The AFC system meets or exceeds all DOT & EPA regulations. We make Auto Fuel Controllers (AFC) systems for all Ford, GM and Dodge diesel pickups. 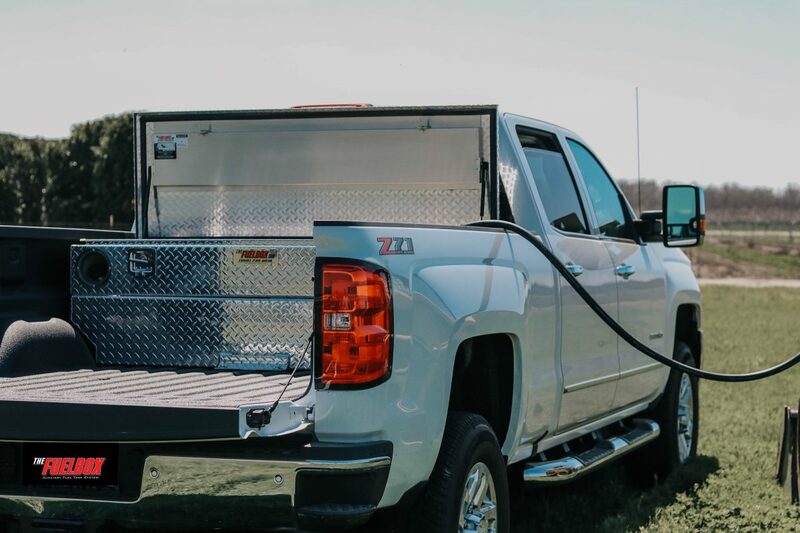 The AFC makes the operation of our auxiliary fuel tanks effortless. 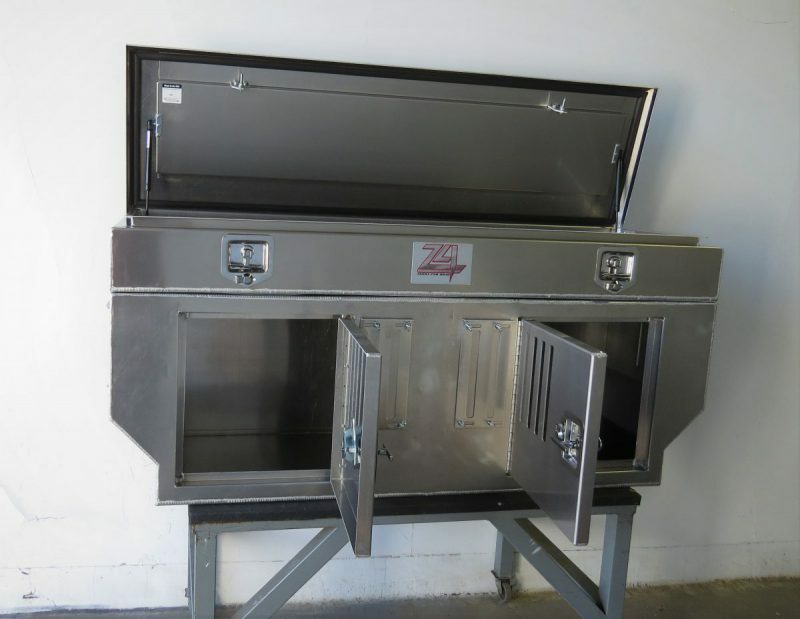 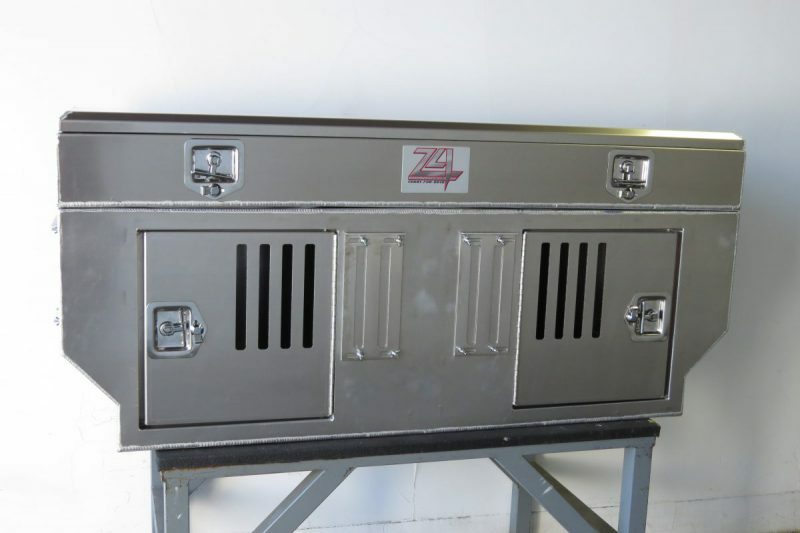 The Toolboxes from Z4 Manufacturing builds the strongest and highest quality for a box that will outwork you. 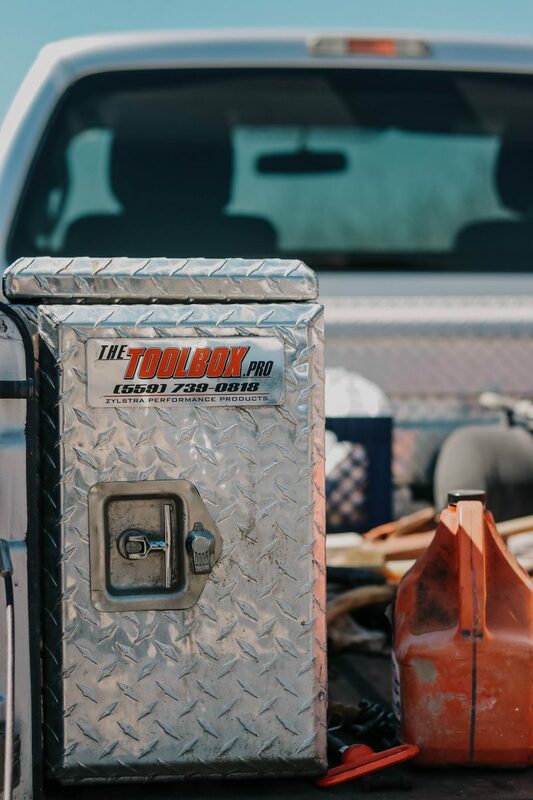 The Toolboxes lid is equipped with an extra-large lid stiffener and gas struts. 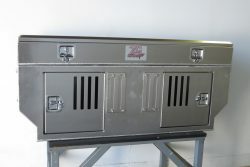 The latches are stainless steel latch and lock assemblies, and are an independent locking system so the toolbox can be opened by one latch on either side. 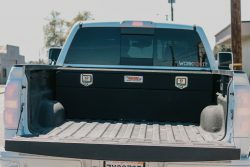 You can be rest assured that the toolbox has a weather tight seal, with a large C channel on the toolbox and neoprene weather stripping located on the lid. The lid design has 2 45 degree bends to ensure a stronger lid. 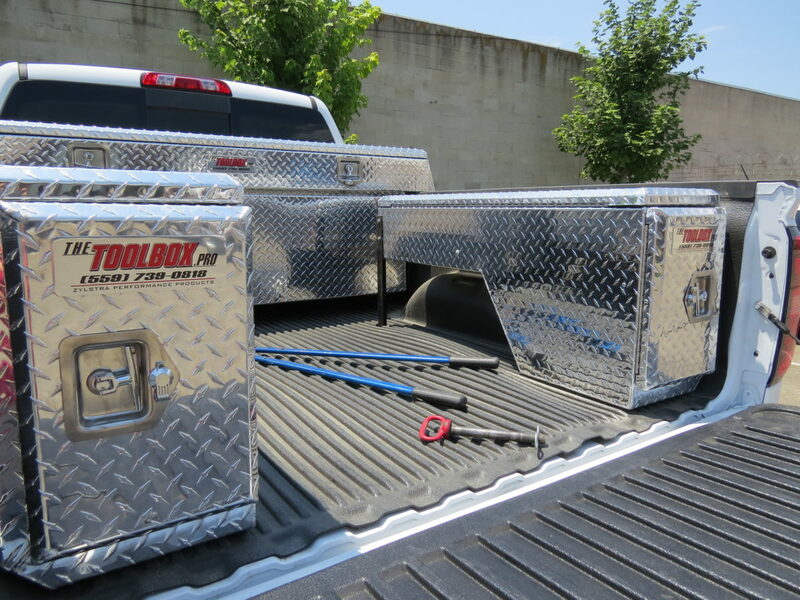 All Toolboxes are hand TIG welded in the United States. 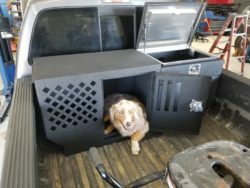 Half dog box, half toolbox fuel tank combo. 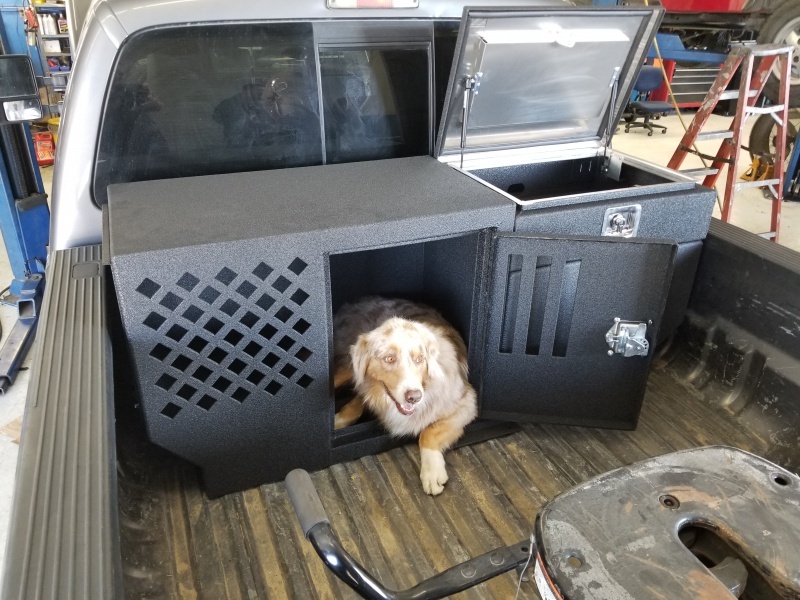 Keep your working dog safe and happy in the dog box side, that has louvers on the side and diamond pattern cut out on the front. 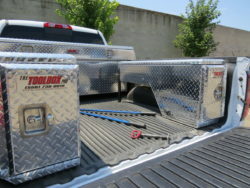 The toolbox fuel tank side has a 35 gallon fuel capacity and tool storage on top. 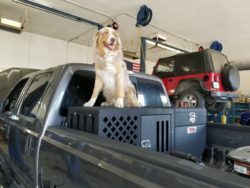 Also offer Dog Boxes with toolbox only on top or Dog Box only! 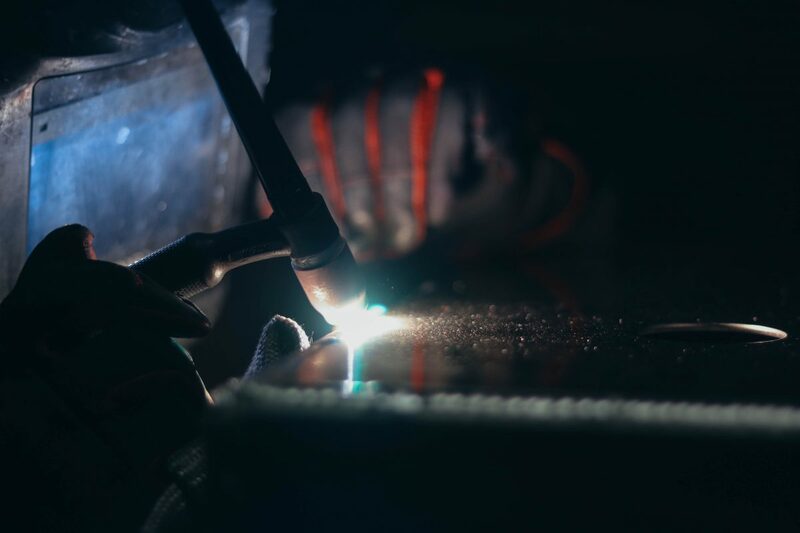 Copyright © 2019 The Fuelbox | All Rights Reserved.